Last week I went on my annual trip to Scotland. This year had three purposes – to visit our relatives, to talk about my first book The Wreck of the Argyll at the Arbroath Signal Tower Museum, and, most importantly, to launch my new book, The Beast on the Broch. 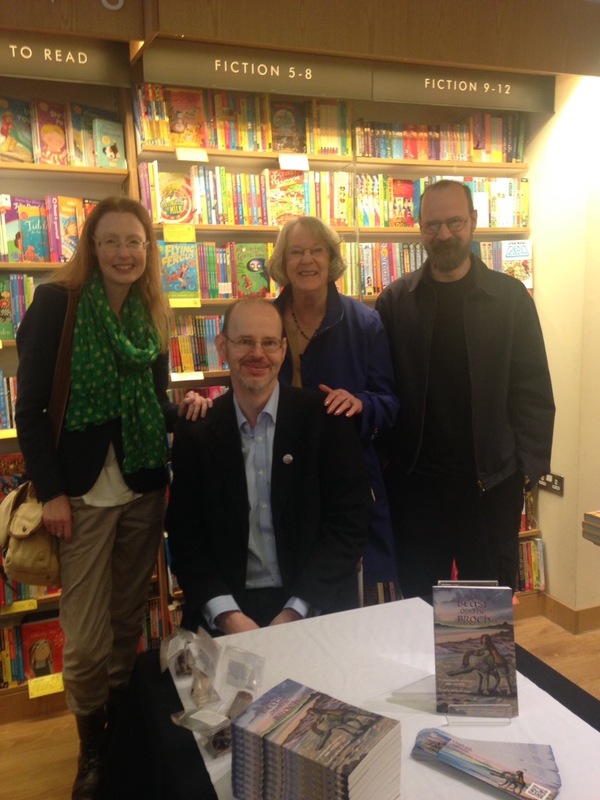 After the Arbroath talk and a visit to Sandra’s family in Dundee, we started the Beast tour by going on a hunt for Pictish Beasts at the McManus Galleries – and then it was time for the launch proper. 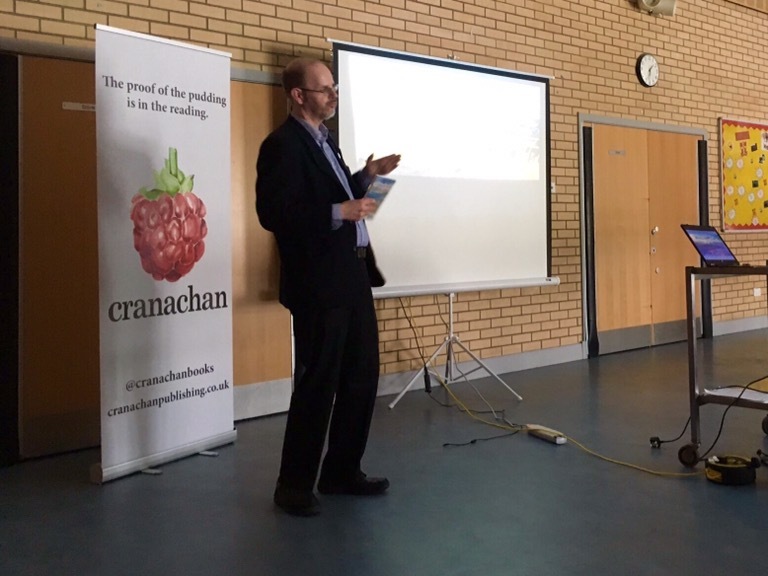 On Friday 9th September, I met up with Anne and Helen from Cranachan at St Saviour’s Primary School in Govan, Glasgow, to give the kids there a world exclusive look at the book. We chose Govan for a very good reason – the school is ten minutes’ walk from the Govan Stones, a collection of Viking-era stones and grave markers. Govan was once full of Vikings – and Vikings play a very important part in The Beast on the Broch. Helen performed the introductions, then I gave my little talk about the inspiration for the book, and the Govan connection. Then it was over to Helen to talk about how Dawn Treacher’s amazing cover art came about – and then the kids had their opportunity to draw their own beasts. The imagination was amazing! Some of the beasts were really quite terrifying. We gave some prizes out (a copy of the book for the winner, and badges and chocolate brochs for the runners-up) and I sat down at a table to sign a big stack of books – it was great to see how many kids wanted to buy their own copies – we actually ran out, and had to pop out to the car where there was a spare copy! There were also copies for the school library; and bookmarks featuring Dawn’s artwork for all the kids, whether they bought a book or not. It was exhausting, even with Michelle Fullerton from St Saviour’s to make all the arrangements ahead of time, with the support of the teachers to keep an eye on the kids, and with Anne and Helen to handle all of the setup – I have no idea how other children’s authors handle such extensive schedules of school visits. Maybe it’s just as well I have a full-time job that doesn’t let me do many – I’m not sure I could handle the pace! The next day, Saturday, was the quieter, public part of the launch. I was a bit late turning up to the Waterstone’s in Byres Road, Glasgow, despite setting off in plenty of time, due to a lot of confusion around taxi ranks and a Glasgow taxi firm who didn’t seem to know where Argyle Street Station was when I called them up… But we made it in the end. 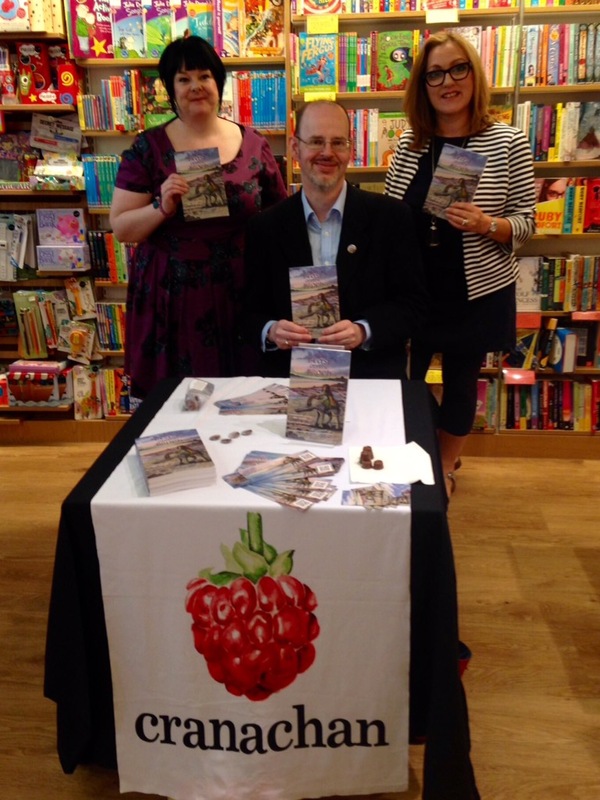 Anne (left) and Helen (right) were already there, and had set up the table with copies of the book. I brought along a couple of packs of Rolos – Sandra had noted that Rolos were almost exactly Broch-shaped, so there were ideal little temptations for passing kids. My fellow Yesteryear Cranachan writers Barbara Henderson (left) and Michelle Sloan (right) were on hand to offer moral support. It was great to meet them at last – it felt like we’d known each other for years, but really we’d only known each other through Twitter, email, and each others’ books for a few months. 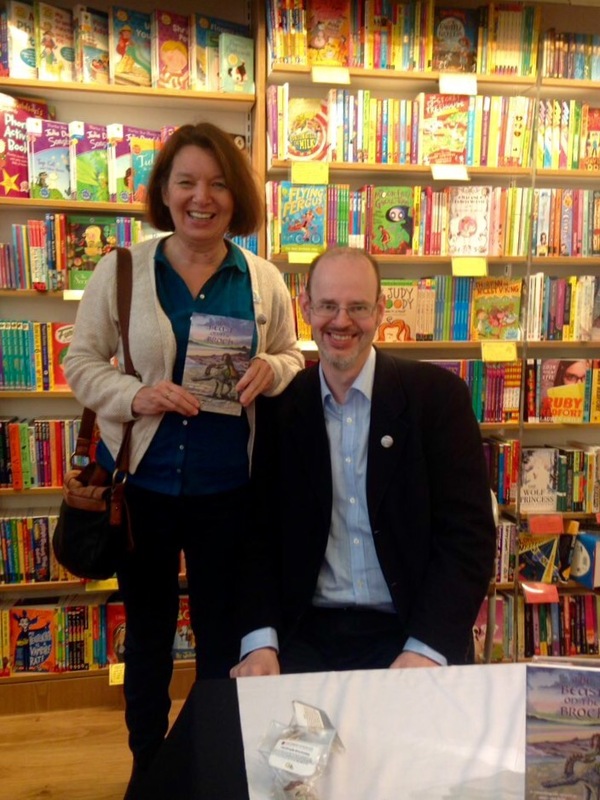 It was lovely of Lindsay Littleson, author of The Mixed-Up Summer of Lily McLean, to come along, too – I’ve known Lindsay since we were both shortlisted for the Great War Dundee Children’s Book Prize, and she’s been enormously supportive ever since. I’d brought along my own support team, too! My partner Sandra, my mum Elizabeth, and my brother Alan came along to keep an eye on me. After the signing event (we sold a few books, which was nice, but it was nicer just to hang out and chat with people) it was time for the Clan Cranachan lunch. 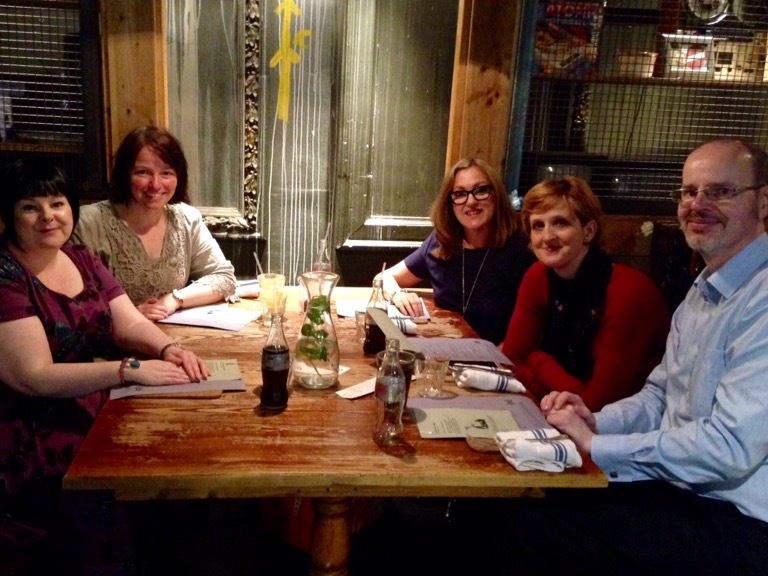 Left to right – Anne Glennie, Barbara Henderson, Helen MacKinven, Michelle Sloan, and me. There were one or two clan members who couldn’t make it, which was a shame, but we went on and had a good time without them! We had a good chat about books and publishing and writing and agents and launches – pretty much everything you’d expect to talk about when a bunch of writing and publishing folk get together. 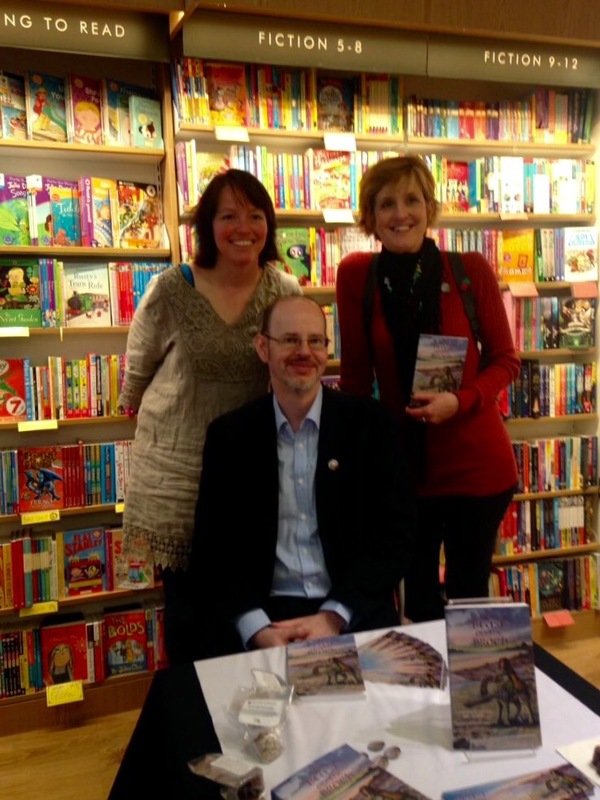 Each of the authors had a quick one-to-one chat with Anne and Helen about the way forward with our books, so it wasn’t just a jolly – it was a serious business meeting. Honest! All in all, it was quite an experience. The Beast is now out in the wild, and only time will tell if readers respond to it. The work doesn’t end here – I’m off to Newcastle next weekend for the UKYACX event with about 45 other writers and illustrators, which should be fun, and I need to start work on my next book. Sounds like a hectic schedule. Well done on the launch of your book. Congratulations dude! I am sure my eldest daughter will love to listen to it being read! Maybe even read some of it herself! She loves a good beastie story!